It’s the mid 1960s – Dartmouth is a self sufficient town with butchers, clothes shops, tailors, electrical shops and garages; a few tea shops and a couple of restaurants. And pubs and fish’n’chips. There was still a small fishing industry and the Royal Naval College and the Merchant Navy were big employers. There were few incomers except for retirees. Now Dartmouth is a hub for yachties, bursting with restaurants and art galleries. The question is, does Dartmouth retain its draw and charm after the transformation? In the early 1960s, my husband Peter left Dartmouth for university and the glittering futures away from the town. Fifty years later, we have returned to live here, coming home to a gem of a town, a little town in which you can get almost everything for everyday life, and a lot more besides. Peter had of course kept in touch with the town, visiting family, bringing the children, coming on holiday. But during our first months with a home back in Dartmouth my husband and brother in law punctuated every stroll around the town with comments like “oh, that used to be the workshop of Couch and Stoneman” or “that was the electricity showroom”. 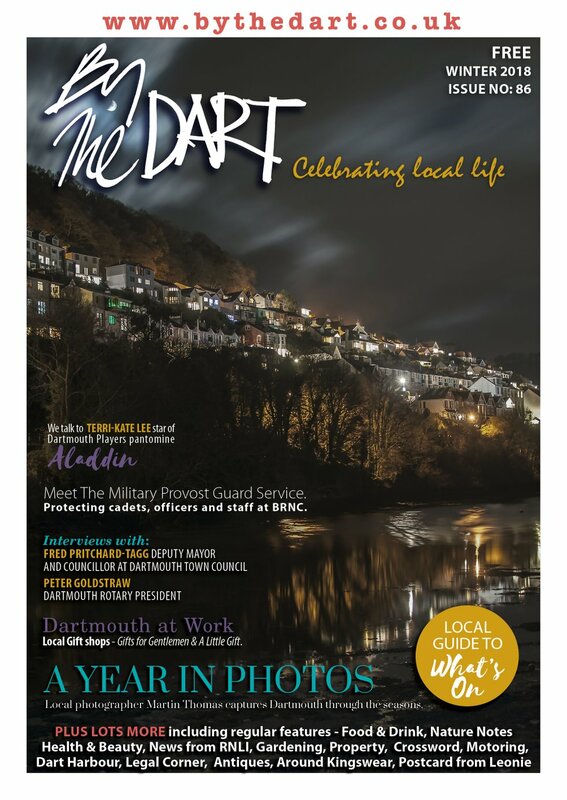 Dartmouth now doesn’t have a garage or an electricity showroom, so we fell to thinking about how the businesses and shops of Dartmouth had changed over the fifty years of a life spent mainly elsewhere. The map of businesses and shops produced by By The Dart provided a brilliant starting point; and in the past year or so we have carefully mapped all the businesses and shops in the town in the mid ‘60s. We have used memory – often fallible- “no, it was a tobacconist not a barber”- , and the brilliant resources of the Dartmouth Historical Research Group who have an inventory of all the businesses in Dartmouth on index cards with information going back as far as the 19th century, although our interest is a shorter timeframe, more of a snap shot. Other sources are photographs in the Museum and records in the 1965 telephone directory. What has changed? Well, fifty years ago there were almost no yachts; sailing was a very rich man’s sport in those days and the river was more devoted to working fishing boats and pleasure steamers. There were marine services, boat builders and chandlers but more for working boats than pleasure boats. The chandlery in Newcomen Road was a fish monger; and Seahaven next door, now full of sporting and sailing gear was Elliots the Baker. There were 11 butchers – now only one. Four fishmongers then and two now. The greatest continuity is in pubs and restaurants; most of the cafés, pubs and restaurants in 2014 were cafes, pubs and restaurants back in the mid 1960s, only the style has changed. In the 1960s, men’s outfitters and ladies dress shops were quite distinct, as were hairdressers and barbers. Now apart from House of Hawkins in Foss Street (which was a bakery in 1965) there are no men’s outfitters, but many shops – Joules, Weirdfish, FatFace and the nautical clothiers – Henri Lloyd, Musto – have both men’s and women’s clothes. Another sharp contrast with the past is that these are all national chains, not the case 50 years ago. Hair has become more mixed too with most salons of the nine salons cutting both men’s and women’s hair. In fact two are men only now and there were two barbers back in 1965. In the 1960s men’s barbers were often combined with tobacconists. In the 1960s, the town was pretty much self sufficient. There was a Woolworths and three or four good grocery shops – the International Stores on the Quay and the Home and Colonial Stores on Duke Street, the shop which is now Bookends. The business of many of the food shops is now taken over by supermarkets – M & S and the Coop in town, Sainsburys and Lidl up in Townstal. There used to be 8 bakers but now only one. But as far as food is concerned, the town is as self sufficient as it was fifty years ago. You can buy everything at supermarkets – but there are still small individual shops and market stalls selling fresh food. In any case, the type of business has changed, but not the ability to buy your food in Dartmouth. It is in large scale items that the pattern has changed most. In the 1960s you bought your car at Couch and Stoneman or Philip Head and Co (Austin Morris dealers on the Embankment) or Dennings on Mayor’s Avenue if you wanted a Vauxhall; white goods came from the SW Electricity Board showroom in Fairfax Place, and televisions from the Rediffusion at the end of Foss Street or Gibsons TV and Radios on Newcomen Road. For these, you now have to go to Torquay, Newton Abbot or Plymouth – or online. While there is continuity in type of business, only a few specific businesses have survived : Hawkes in Duke Street, unchanged emporium of sheets, carpets, beds, with a window display which has changed little; and Pillars, beloved haven for children, a newsagent and toyshop in a rabbit warren of rooms in Lower Street. Tozer, the stationer on Flavel Place would have been another survivor, except that it closed in 2014 (and in the 1960s it was in Lake Street). Lloyd Attree has moved around but the shop still sells jewellery. And of course, Boots the Chemist although it no longer has a lending library. The biggest single change is the growth in art galleries, from nothing in the 1960s, to 16 today. There are many more gift shops too; reflecting the growth in tourism in Dartmouth over the 50 years. The yachtiness shows in the types of clothes shops – Musto, Henri Lloyd, and Quba all sell sailing gear. Some businesses – like the food stores – have not disappeared but have moved from the town up to Townstall, which is where builders’ merchants and building companies are based. For my family, Dartmouth has been a much loved place for all generations. My father-in-law, Bill Rudd Prynn had a drapery and outfitters business, which he ran from the Old Market after his shop in Duke Street had been bombed towards the end of the war (the shop is now the Midland bank); my mother-in-law Agnes was born and bred in Dartmouth and taught at the primary school – people still remember her. 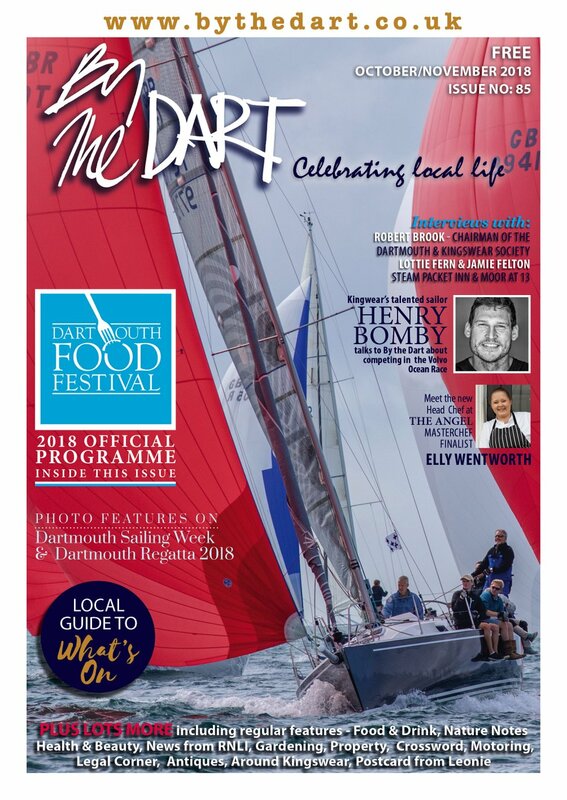 The children have all loved Dartmouth (it is a family belief that my step son Jonathan’s first word was ‘ivver’ – he somehow missed the r) and it was my great fortune to marry into Dartmouth folk and we have visited many times over the years. 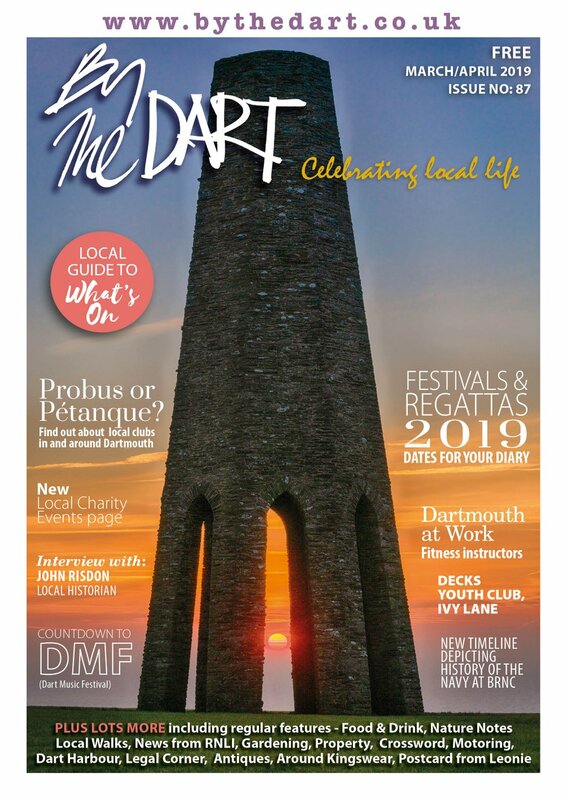 We have all loved the town and its charm – and somehow, in an age when the heart of small market towns is lamented and given up as lost, Dartmouth has retained her heart despite the changes of fifty years. It still has its charm and draw.